Dr. Sally Pepping of DuPage Healthcare Ltd. When Dr. Pepping decided to enter the health field, it was with physical therapy in mind. The competitive nature of enrollment in these programs made her start exploring other options. When she discovered chiropractic, it was with the realization that it integrated aspects of physical therapy with many more advantages: helping people in a hands-on, natural way, offering numerous services and creating a business that matched up with her own vision. Dr. Pepping studied at National University in Lombard, Illinois to obtain a Doctor of Chiropractic. While there, she worked for chiropractors, including the one she would later purchase DuPage Healthcare Ltd. from. This practitioner taught her several different chiropractic techniques, strongly influencing the way she practices today. She is certified in the McKenzie Technique, a method commonly utilized by physical therapists to assist with low back problems. Married for more than twenty years, Dr. Pepping and her husband have five children. She’s also a dog mom to a Plott Hound and a Puggle, and is a lover of all creatures who hopes to learn animal chiropractic care one day. Their family enjoys spending time together, and Dr. Pepping likes to read and go fishing. 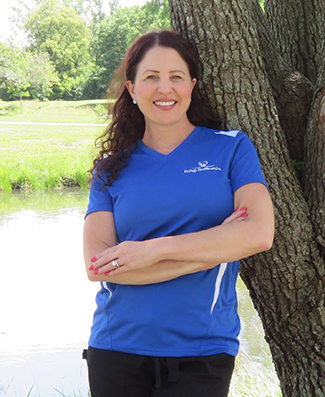 She is a member of our local chamber of commerce, The Illinois Chiropractic Society and Healthy Lombard, helping to educate area children about their health. Schedule your appointment with us by phone or email today! We offer a complimentary consultation to determine if we can help you.